The lighthouse was built in 1874 by the British engineer Richard Henry Brunton and is registered with the International Association of Lighthouse Authorities as one of the "One Hundred Most Important Lighthouses in the World". It is also a Tangible Cultural Property and an Industrial Modernization Heritage Site. Standing at 32 meters tall and constructed of bricks in the Western style,the simple white form fits in beautifully with its surroundings. 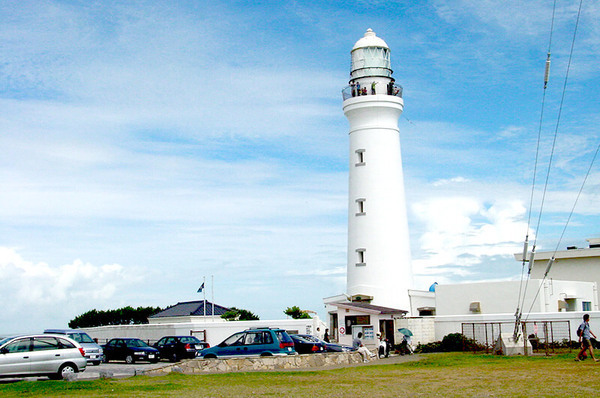 Climb the 99 steps to the top for a panoramic view of Kimigahama Bay. 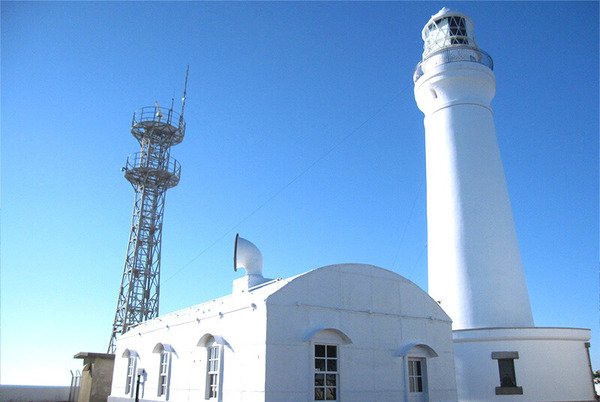 The lighthouse complex also boasts a small museum housing photos and explanations of the lighthouse's history. Cape Inubosaki was notorious for fog and so a reliable warning system was necessary. The steel foghorn housed in this building was affectionately known as the "Inubo Cow" and worked steadily to protect sailors until modern technology forced its retirement in 2008. The fact that this building has survived for over 100 years while being exposed to the salty sea air is testament to the dedicated care of generations of trusty lighthouse keepers. 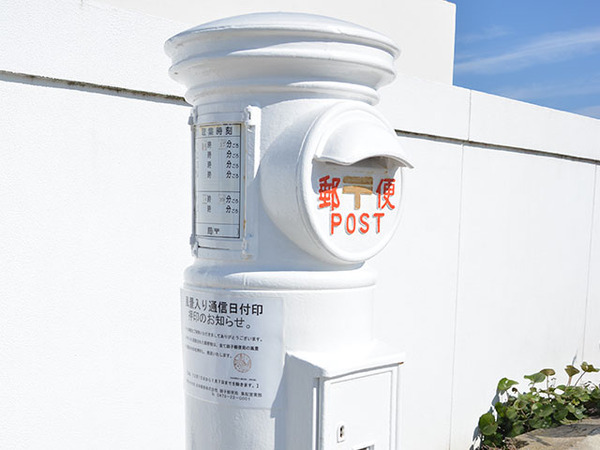 Mail dropped into the white postbox in front of the ticket booth will be franked with a special commemorative lighthouse stamp. Why not pop your postcards in here for an added memento of your trip? Take the "Choshi Dentetsu Line" from "Choshi Stn".and get off at "Inubo Stn". Approx.10 mins walk from "Inubo Stn". Turn left out of Inubo stn. Bear left at the T junction and follow the road down the hill past the pink aquarium building. The entrance to the lighthouse is on the right, past a row of food stalls. Take the bus bound for "Tokawa" from "bus stop #6" at "Choshi Stn". and get off at "Inubo bus stop". Approx.3 mins walk from the "Inubo bus stop". Ask the driver to take you to "Inubosaki Todai". There are no restroom facilities in the lighthouse complex. Please use the public conveniences situated near the entrance.